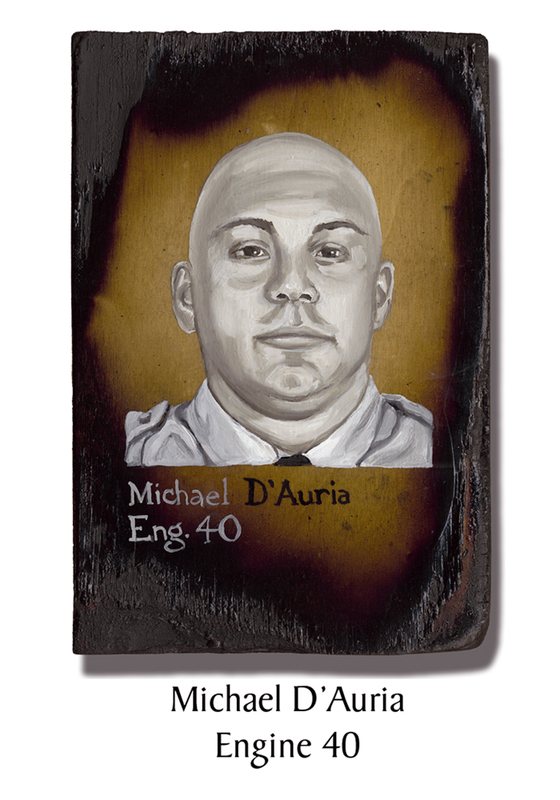 Several months before 9/11, Firefighter Michael D’Auria told his sister “I know that when I die it’s going to be in a big way and it’s going to change the world.” Sworn in to the FDNY in May of 2001, Michael received perfect scores on both his physical and written exams. He had always wanted to become a firefighter and he was living his dream with Engine 40. This entry was posted in Better Angels Stories and tagged 343, 9/11, Battalion Nine, better angels, Dawn Siebel, Engine Co. 40, FDNY, firefighter, firefighters, firefighters of 9/11, LODD, Manhattan, memorial, Michael D'Auria, NFFF, paintings, portraits, World Trade Center, WTC. Bookmark the permalink.